Everywhere you turn, there’s a story about humans disrupting nature. But, what about people and nature thriving together? The Nature Conservancy works with people around the globe who have committed their lives to conserving nature and believes that these stories of inspiration and hope are the ones worth telling. This sentiment of hope captures the theme of the new PBS series, “EARTH A New Wild,” a five-episode series that begins airing February 4, 2015. 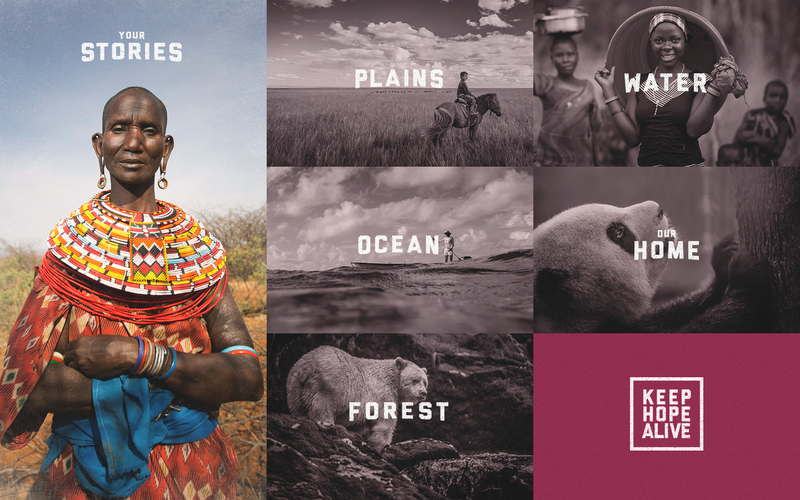 The series dives into the wildest places on earth across five areas — home, plains, forests, oceans, and water — to examine how humankind and nature can co-exist with a mutually beneficial relationship. TNC teamed up with PBS to help promote the series and to extend its reach and impact. 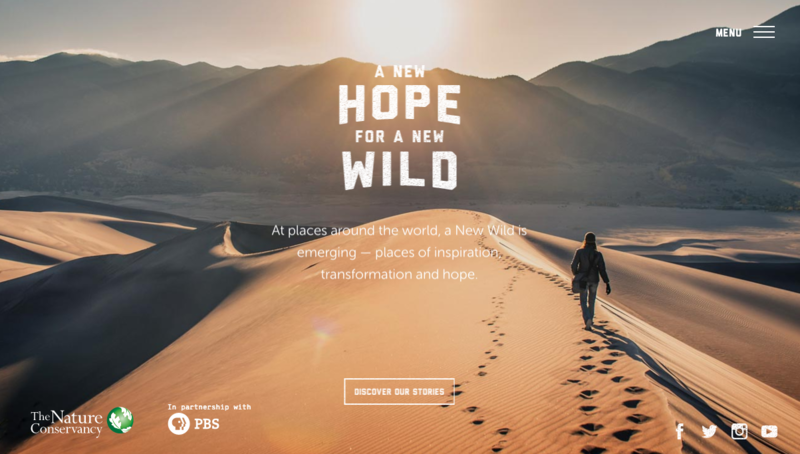 We’re thrilled to have partnered with TNC to strategize, concept, design, and develop a microsite and campaign to extend the message of the New Wild and inspire a New Hope. 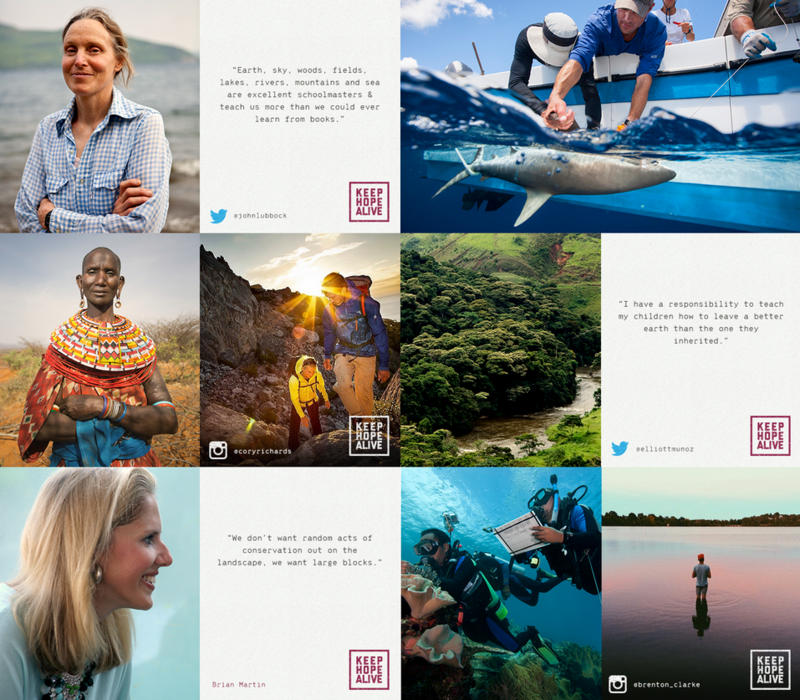 Goals for TNC and the campaign were to engage a new audience of conservationists, and to also empower everyone to realize their potential for impact. We aimed to start a conversation with this audience, not just talk at them or give instruction. 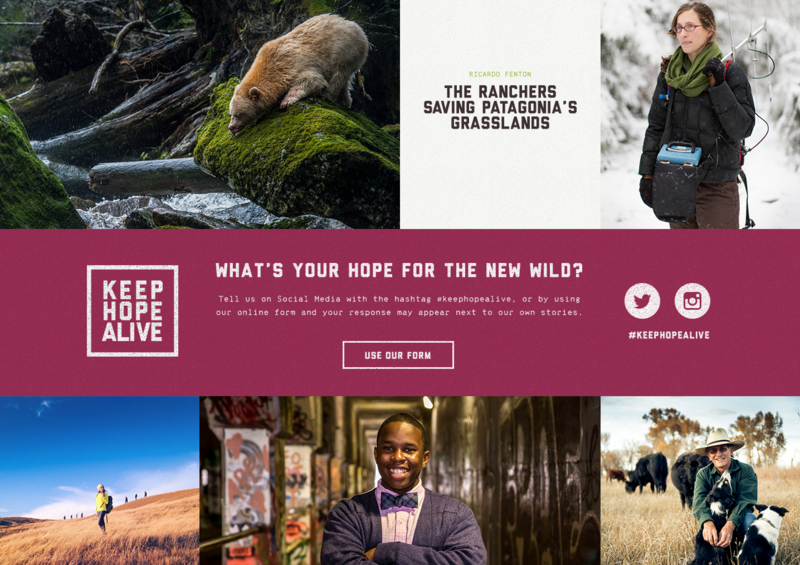 Through several entry points, users can become part of the campaign — submitting a story on the site or sharing an image or story using #keephopealive on Instagram, Twitter, or Facebook. To take it a step further, signing up for email will give supporters access to more content and behind-the-scenes footage of stories featured on the site. The New Wild is more than TNC scientists and researchers traversing the grasslands of Montana or wading the waters of the Palmrya Atoll. It’s people like you, doing everyday things to inspire this New Hope. These stories are just as impactful and important and we wanted to represent that on the site by elevating everyday stories from users alongside the work TNC is doing around the world. To tell these stories, we relied on big, impactful imagery. From a cinematographic homepage opening scene, to the full-screen menu takeover, photography and videography play a big role in illustrating the New Wild. Paired with short-form narrative and transitional UI elements, these stories are digestible yet full of rich content to illustrate what the New WIld can mean from the oceans to the plains. 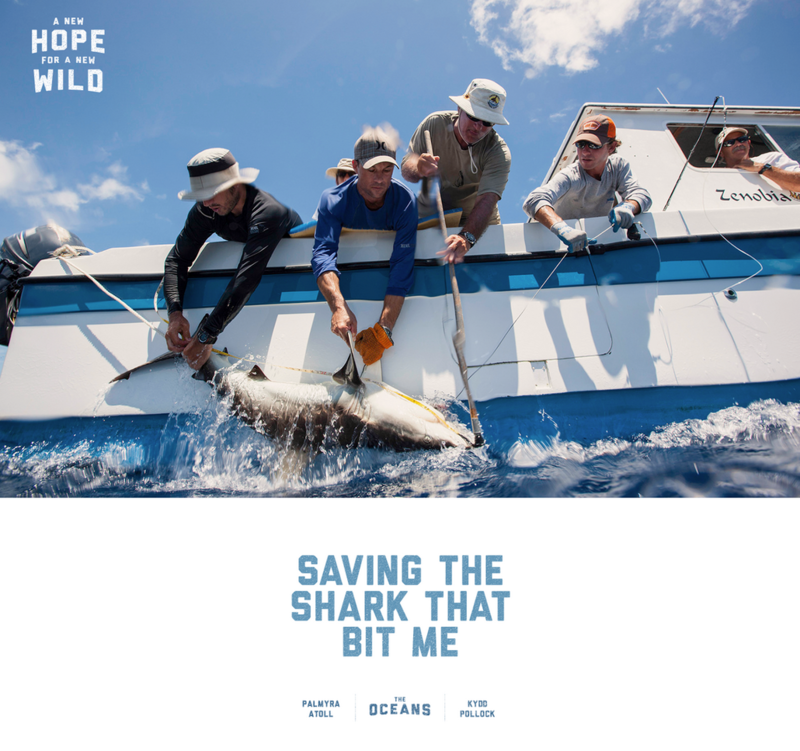 We enjoyed partnering with The Nature Conservancy to bring to life a campaign that keeps hope alive and inspires the future of conservation, and to build a highly visual site to tell those stories. For more details on the work, check out our full case study. 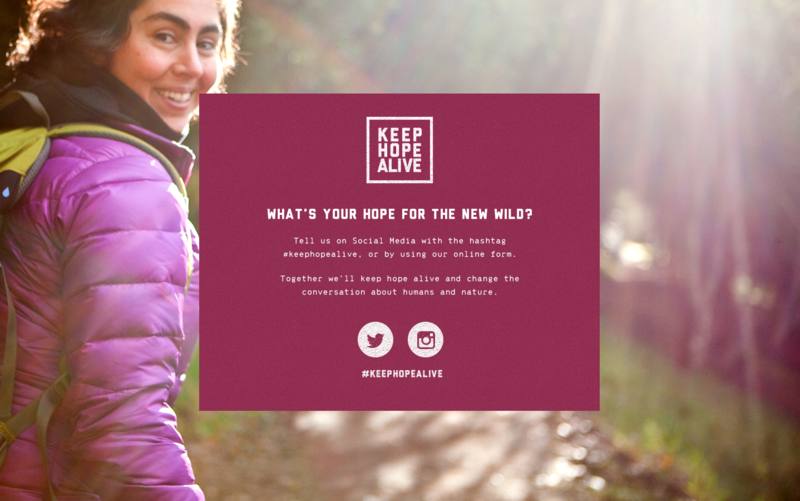 Visit nature.org/new-wild to see the New Wild in action, and share your own stories using #keephopealive.